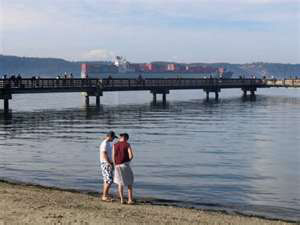 Brown’s Point is a small point of land surrounded by Puget Sound on three sides with Tacoma bordering on the east. However, the surrounding area is often referred to by local residents as “Browns Point” although it is actually North East Tacoma. The Browns Point/NE Tacoma area is sought after by home buyers looking for friendly neighborhoods,great schools and plentiful nearby activities. Homes for sale in the area vary from Newer homes built in the last twenty years, to some older turn-of-the-century homes. Condos and Town Homes are available in the area as well. Many Brown’s Point homes and condos have views of Puget Sound as well as downtown Tacoma across commencement bay to the South. Clients often comment that NE Tacoma/Browns Point seems removed from Tacoma and is a very livable. Along Brown’s Point Boulevard, a great many homes have tremendous views of Puget Sound, Vashon Island, Commencement Bay, and even the Olympic Mountains on a clear day! Marinas with moorage are abundant along nearby Marine View Drive and many boating enthusiast live in the area as a result. Other nearby attractions include beaches, parks, biking and hiking trails as well as many recreational opportunities on and around Puget Sound. North East Tacoma is also located near the King County line and is actually close to much of the city of Federal Way. In fact, it is much closer to Federal Way than it is to downtown Tacoma. As such, most local residents actually shop and socialize in Federal Way more so than Tacoma. North East Tacoma and Browns Point are also located convenient to the freeway (I-5) and an easy commute to other cities in the Puget Sound region.